People have started selling, by auction, the copyright on single lines of song lyrics. In music, copyright can be claimed on a sequence of just three or four notes, in case it gets used as a ring tone. But in poetry, unaffected by the anxiety that big money engenders, everything is freely available. In writing poetry, what constitutes your personal vocabulary, the material of the self and its history with which you write? Isn’t it always a hybridity, a merging of neutral linguistic units and derived formulations? Don’t some of the most pure or ‘original’ constructs have echoic relationships with pre-existing poetry or prose, in semantic as well as phonetic structure? Or, to write in constant fear of letting such echoic tropes happen, to cultivate the paranoia of the new, what kind of independence is that? Where, then, do you draw the line between a quotation and an absorption? And even if it is clearly a quotation, is it necessarily somebody else’s property? In Excavations [Reality Street Editions 2004] I built up prose poems from citations and quotations from 19th Century archaeological reports of the opening of prehistoric tumuli in northern England. Interwoven with these, and with my own direct writing, are about a hundred ‘quotations’ from English lyrical poetry and such-like of the 15th and 16th Centuries, in the form of fragments in the original orthography. (It was a matter of different histories interlocking.) It became clearer and clearer to me as I worked on this book that where the quotations came from didn’t matter; all that mattered was what they said or what they were, their inhering quiddity, and this was true to some extent of the incorporated scientific texts too. Many of the old lyric texts were sorrowful phrases taken from melancholy songs, and were used rather in the mode of exclamations – and exclamations do in fact have a strong tendency to be quotations; the shout of pleasure or pain is more likely than most utterances to be a bid to enrol in a commonality, and to be a reiteration. So what would be the point in tracing all these quotations to their sources? Some of them didn’t have sources: when short of one I might invent one, including the ‘original orthography’, or I might remember one but be unable to locate it in print, and in some cases I had to manufacture the archaic spelling myself because I could only get at a modernised edition. The point is, they didn’t form a stable connection between my writing and the condition of the original poems, that wasn’t why they were there. They were there because they were broken off, fragments clutched in passing, their messages reconstituted in a new discourse, like fragments of pot and bone excavated from the earth. With both kinds of quoted text I felt that the resulting construct, very like an Irish stew as it may be, should be self-sufficient. For the reader there was nothing to be gained by seeking or knowing the source material. And this is to me an important thing about quoting, that it doesn't necessarily involve you in subscribing to some poet's oeuvre or some poetical ethos or attached theoretics. All you subscribe to is that line, or that phrase, which you do because it relates positively to the work in hand. The freedom to fill your writing from elsewhere derived mainly from Eliot and Pound. But the force of the act there was very different: the fragments ‘shored against my ruins’ (which incidentally, if I were quoting unchecked I would have improved to ‘ruin’) were meaningful for more than their wordings. They were to lead you to their origins and to enfold, in some way, the entire significance of those works into the poem (with in Eliot’s case an admixture of sheer archaised exclamation). Eliot’s notes to The Waste Land and the whole tenor of The Cantos make this very clear. They were instances implying entire belief structures or systems. Olson too – and those enormous volumes of annotation people have compiled are in fact necessary if you’re going to be led into these labyrinths; most of what was intended is lost without them. 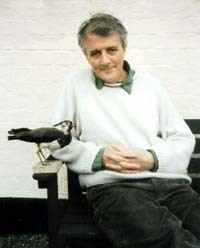 The English poet Denise Riley quotes freely in her poems from a variety of sources, all meticulously acknowledged in three pages of notes, which yet manage to miss some [Selected Poems, Reality Street Editions 2000, Notes and acknowledgements pp.109-111], and does so in two distinct ways. Some are thematic adjuncts to texts which are discursive interventions into well defined intellectual zones, e.g. from Goethe and Brusatin in a poem on Goethe and colour, Ovid and Lacan in a poem on Narcissism. These quotes, mostly prose, are taken on for their intellectual content and do to a greater or lesser extent refer us to their original contexts, or they are picked out as succinct summations of thematic discourses which declare themselves sufficiently as quoted. They are also liable to be questioned. Lacan, for instance, is not quoted as simply an authority; ‘the poem,’ it says in the notes, ‘wonders about [his] assertions.’ The approach is thus lighter, more modest but also less canonical than, say, Pound’s one-man-university approach to citation. It strikes me that, read as a threat to the personal voice, and to the peace of nations, epic and prose have caused as much trouble as lyric ever did. And that not only quotation, but response itself, and thus influence, bring with them potential conflicts as serious as these. But the larger forms and experiences do not, in Denise Riley’s terms, impinge on the personal voice, or attempt to take it over, since they are far more complex, diversified, and scrupulous. Thus quotation from a discursive source is more likely to serve as a supportive structure to the poem’s argument, or at least as a contribution worth engaging, while the little song is handled as a double-edged weapon. But this dialectical thesis cannot disguise the power, delight, or assent to common fate, which lyric fragments bring to her poems. This is very much my own thesis here, that (as poets, but in other ways too) we live and breath scattered and weathered versions of other people’s language whether we know it or not, and to ‘quote’ may be no more than to acknowledge this. And that the performances we send out into the world can and should become other people’s property, items of other people’s vocabularies, excepting only the complete construct, the wholly worked poem from beginning to end, the only entity worth copyrighting. Peter Minter’s quoting is more than a casual adoption of phrases which have stuck to his mind. The American focus feels purposive, as if it were a bid to enter that realm and become himself an innovative American poet, especially as his quoting shows little interest in American poetry as such, the grandfather generation of Pound, Stevens et al., being absent. It is a wish to join in or at least attach, not a history, but a company. This must be a matter of an intensely focused zone of response which the quotations exemplify and which to some degree empowers the poetry. But there are other features of his technique – a fluidity and intuition by which checking for accuracy would be irrelevant, and the seamless incorporation of quotes and what are probably much less than quotes into the movement of his own writing, so that in most cases without the notes you might not know there had been a quotation at all. These conditions render the quotations as his own materials, within the toolbox of his creativity. They don’t intervene but only diversify and reinforce, or enlarge his vocabulary. And much as they may refer him to an American company, they cannot, being so undeliberated, form channels to others’ works which the reader would need to experience. The quoting is rather a testimony to the current coin he locates in the detail workings of all those poets, and which he proceeds to spend. The quotations remain his own voice, sometimes in a different register and sometimes not. At one point he quotes from Antonin Artaud, a writer I tend to look upon as a dangerous influence, but there is not a trace of the psychological extremism Artaud might have brought with him. Again the quotation is cut off from source and exists as a small ready-made word order: ‘Catastrophe of heaven, land of speaking blood’. A lot of Minter’s poetry, and certainly the poem in question, occupies the same apocalyptic zone as this and the quote is stylistically integral to it. His poetry is also one of constant and irrational displacement of image and sense layers, movement through strata of registers, but done by the pressure of a sustained discourse which overrides the constant transitions, and transcends effect. Involved in this continuity, the quotations forfeit their own interruptive power, all the more so as they are present in an unstable code: they are mostly in italics but may not be, and italics can be used for other purposes, such as to register a shift of tone. They become his property as the residues of responses completely assimilated into his own spirit. There is no distinction of lyric here, and there is little quotation from prose or old songs. It is as if the modern poem occupies a central position between prose and lyric, and can be quoted both as affirmation and as question. As I’ve indicated, in my own writing I’m generally in agreement with Denise Riley and Peter Minter in preferring the quotation of poetry or lyric to be basically a subsumed response which can no longer carry an indebtedness. Or to be, say, a ‘reminiscence’ of a poem rather than a reference to it, which might bear company with reminiscence of any other entity passed through en route to the new text, such as a landscape or a person or the weather. Indeed, far from setting up an ideological or representative structure, the words quoted could in principal be the only ones by that author I have ever read. An English secondary education in the 1950s involved memorising quite a lot of poems, by people like John Masefield, Hilaire Belloc, Wilfred Owen, A.E. Housman, W.B. Yeats, Siegfried Sassoon... and of course older poems. You don’t easily lose these memories, though the text can undergo modification. I particularly remember the whole class having to yell out, at a very tender age, The Jungle by Vachel Lindsay (which ended, if I’ve still got it right, ‘Boomelay-boomelay-boomelay-BOOM!’ ). Also several of Auden’s songs, perhaps learned because of Britten’s settings, and Housman may have been learned because of Vaughan Williams and George Butterworth, for any few words embed themselves in the mind much more firmly with the help of a melodic line. We also learned what were called ‘folk songs’, though they hadn’t seen a farmyard for very many years. Lines and phrases from any of these sources could crop up at any time, and do, for much the same reason as old pop song fragments do, because they harmonise with an emotional drift. I don’t necessarily view any of those poets now as superseded and regrettable encounters, but neither are they a pantheon of major influences. Yet, if their lines and phrases crop up in a poem it is not just because I can’t forget them, for I try not to quote anything I don’t feel to be a poetical ‘find’ – a cluster of words which encapsulates an authenticity, and all those poets were capable of that. I once took a certain sly pleasure in quoting from both Housman and Captain Beefheart in the same poem. Saying this, I am admitting that the quotations may carry more significance than what their words have to say; they can acknowledge zones, of respect for instance, or intellectual value. (Pop and traditional lyrics can claim entry into both these categories). In the modernistic context in which I write I might deliberately hang on to pre-modern writings embedded in my brain, or even seek new citations from these and similar sources, as a gesture towards eroding the ‘paranoia of the new’. It would be a similar gesture to allow reference to a wide range of prose into the poetical structure as an insistence that a poetical culture cannot feed entirely on itself. Poetry, being a totalising structure, needs, if it is extending into such practices, to keep its options wide open. Even the kind of life you lead, the variety of human and discursive zones it leads you through or to which you acknowledge response, will work itself into the poetry and may well manifest itself in the diversity of quotations, actual or subsumed. What we call wisdom can sprout up in the most unlikely places. There are also of course cynical versions: you collect phrases from modern advertising, political sloganising, financial reports, cultural writing, whatever... and collage them in various ways into poems, with or without significant juxtaposition, as if forcing our society to display its harm. I think on the whole that this is a false mode of critique, claiming an overview in a typical ‘poet’s’ way without either knowledge or analysis. The permission to manipulate language, and the techniques of substitution and juxtaposition, derive from lyric, but the claimed import is larger. What is, finally, the status of these borrowings, stealings, or findings of things which fell off the backs of lorries...? In one sense they have no special status or need to be distinguished in any way from the currency of the whole work. And yet they sit there in the text like an antique brick in a modern wall, and you know they got there in a different way from all the rest. Readers, customers, friends and supporters, / I’m trying to drive you all out of this paragraph. I need it for myself. As a dark space with two vague presences resembling windows. There to play the dead into my hands, show them through their journeys, marking the shallow sides of the path in the sandy earth. “Withdraw, and separate.” / And there to weep in silent thought the frailty of the classics. / And when the time comes, stand up and say, Well, I’ll be going now. Shake hands, walk outside, and jump onto a bicycle. Keith Tuma of the University of Ohio, when he interviewed me in 1999 for a special issue of The Gig, quoted all of this and probed me for my use of the Beach Boys’ words as signifying Americanness, or American pop culture, or a creeping Americanisation of the globe (as this song has spread all over it) against which my intervening four lines, ‘fragments of high lyric’, represent something very alien, and the whole construct thus ironic. Perhaps this is so, but I didn’t think so at the time. I still feel that I own, experience, and have spoken for myself, dramatically, every word quoted from the Beach Boys in this piece (not that I habitually hang around in the evening talking about old girl-friends, but neither did Shakespeare murder Duncan). I replied that it was something I couldn’t help responding to, and so it had to be a real thing for me, not something I set up in order to undermine it. It’s about ageing, as the whole sequence is; I interrupt it because it’s not saying enough about ageing. I push it to say more, not only in the expanded imagery of my intervention, but in the lineation, interruption and clipping of the song – and then, nothing. But something I didn’t at the time admit to Keith Tuma was that I had to get the wording of ‘Do It Again’ right by asking an American, the poet David Bromige. For forty years previously I had thought the song began, ‘It’s all American...’ And why did I retain the American speech register in line 10? So there remains an undercurrent of uncertainty. I stick to my thesis, that the works we send out into the world are for the world, and we don’t claim them back saying, ‘You can’t actually have that; I offer it to you but it remains mine.’ You offer it or don’t, and once offered, people are free to do what they like with it. I take the same liberties with texts by others which I consider I have understood in such a way that they have become personal to me, or can be rendered integral to a poetical process. There remains to me a faint residue of obligation or representation, which should not be allowed to inhibit the free use of found language. Rather than an inheritance or a purchase, I prefer to think of these finds as simply an immaterial value, and that they entered the world because that’s what their authors knew they were, and for that reason made them available. Peter Riley was born in 1940 near Manchester in an environment of working people. He studied at Pembroke College Cambridge and the universities of Keele and Sussex. He has taught at the University of Odense (Denmark) but since 1975 has lived as a freelance writer, English teacher and bookseller. He lived for ten years in the Peak District of central England, and has lived in Cambridge since 1985, where he has run a small press and collaborated in organising international poetry events. Some of his recent writings have resulted from his travels, principally to Transylvania in search of music, but also to France and Greece. Of some twenty books and pamphlets 1968-2006, the principal in-print items are Passing Measures [a selection] Carcanet Press 2000. Alstonefield [a long poem] Carcanet Press 2003. Excavations [prose poems] Reality Street Editions 2004. A Map of Faring. Parlor Press (U.S.A.) 2005. The Dance at Mociu [Transylvanian travel sketches] Shearsman Books 2003. The Llyn Writings, and The Day’s Final Balance (uncollected writings 1968-2006), are both forthcoming from Shearsman Books, 2006/7. Copyright Notice: Please respect the fact that this material is copyright © Peter Riley and Jacket magazine 2007; it is made available here without charge for personal use only, and it may not be stored, displayed, published, reproduced, or used for any other purpose.